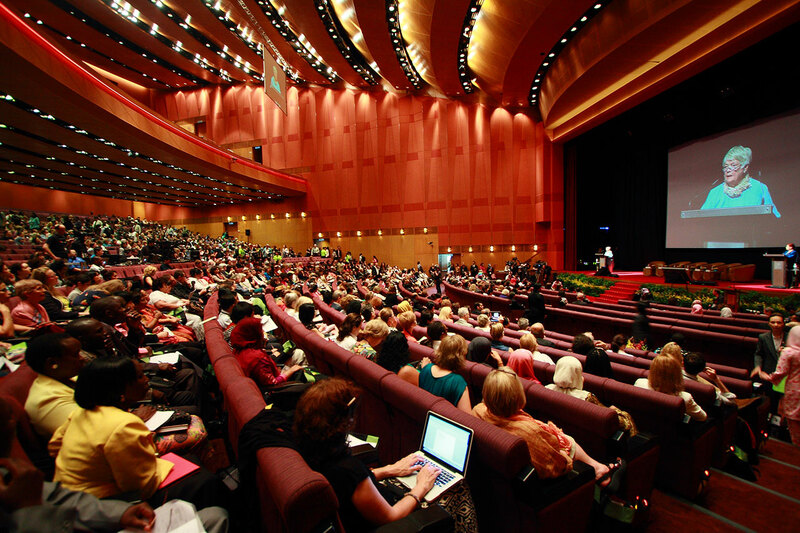 Plan your next town hall or annual general meeting, seminar or lecture series, signing or graduation ceremony at the award-winning Kuala Lumpur Convention Centre’s PlenaryHallOnCall. PlenaryHallOnCall offers cost-effective solutions for your events at the stunning and technologically-advanced Plenary Hall, a sophisticated presentation environment with premium tiered seating for up to 3,000 guests, a designated VIP circle, superior audio-visual equipment, high-tech IT facilities and a convenient, central location in the city. PlenaryHallOnCall solutions are packaged for full or half-day sessions with exciting food and beverage offerings and fantastic value-added features such as a complimentary VIP lounge and an organiser’s office. PlenaryHallOnCall - the perfect venue solution at a premier location. Terms and conditions apply and are subject to change at Management discretion. Prices are subject to 10% Service Charge and 6% Goods & Services Tax (GST), and are valid until 31 December 2016.